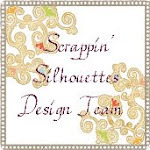 Chatty Crafty Arty Pig: Why no blogging??? DH got a job (hurrah... was nearly 6 months) but it is in Worcester (boo hiss.... not at Worcester as it sounds a wonderful place) but this means he is away Monday to Friday and just back for weekends. He also took the lappy with him, which is great as we can skype every day and the kids love it, but I am left with the desk top so it means I cannot multitask whilst blogging/surfing . I often used the pc whilst cooking, watching tv, supervising kids etc etc but the desk top is upstairs in the study so not as easy and I have been nipping on in the evenings before bed time and then I just end up going to bed!! I have just started a university course one day a week that ends in December. It is called 'Independant and Supplementary Prescribing' and basically means I can write prescriptions like a Doctor if/when I pass. It is all day Tuesday and means I have to have childcare for DS pre and post school and be more organised. Plus it is not an easy course with 3 written assignments, practical assignments, and 2 written exams!! Tuesdays used to be a quiet day with just 3 hours at work now it is my longest day of the week, though I should be getting the time back from work. Work has been stressful as there are loads of changes happening there and I am nervous of change! The future is unclear for us at the moment but I am trying to remain optimstic, but sadly a really wonderful colleague has resigned and this will be a huge loss for the clinic. Not gonna waste any more blog time discussing work as it makes me start feeling anxious again. My camera broke! I was gutted and meant an end to project 365 for me as got all in a muddle trying to use DH's digital SLR, tho' I am getting better but I do miss my little point and shoot camera as it was so easy to have in my bag/take everywhere. I may get it mended so will get a quote and see if not will ask for a new one for my birthday later in the year. In the meantime I need to learn how to use the big one! I have managed some Layouts from my first ever Shimelle class that I loved and can't wait to do another one! I have also made several cards so will get round to blogging pics at some point. I have missed keeping up with all your blogs as I felt so many of you were my friends as I had daily insights into your world. I am trying to get back on track and keep up and also think it will help me to blog through some of the experiences as writing things down has always been a helpful therapy for me and hopefully it will mean I won't need to access any real therapy as I do feel I am getting rather anxious at times. Reading your posts also is a form of therapy for me as the insights and creativeness are just what the doctor (or independant prescriber!) ordered! Thanks for dropping by on the blog hop. Yes, I'm a big fan of Madeleine! My daughter and I have a bit of a collection and enjoy making clothes and picking them up on ebay. Goodness, you do have a lot on your plate, just now. Like Mel, I'm sorry to hear about all your worries and wish you a speedy recovery. You are going to be busy busy busy. Hope your DH likes Worcester - I spent 3 years there while at university and loved it - probably because it was still quite close to home. You have your holiday to look forward to though - the Black Isle is a stunning area - and you will pass through Elgin where I live when you travel the A96 between Inverness and Aberdeen. Shout if you want to stop for a cuppa!!! Take care. wow it sounds like u have been having a tough and busy time. i am sending u loads of love and empathy from somerset. i can understand the pressure of university courses as i have done several and the nurse prescribing course is not an easy one. i did the old style course as part of my health visiting degree and a pharmacology course as part of my first degree.............dont ask. sorry to hear about the skin biopsy, hope the news is good and that treatment and prognosis are fast and positive. i have no idea personally what it is like to send ur hubby off for the week but as a child my dad did that alot for work so know it is a huge challenge. it made weekends more funpacked but tiring and yes getting to the station by 5.15 am sounds awful, however the thought of having £10.00 to spend on yourself i am sure make up in part for that.